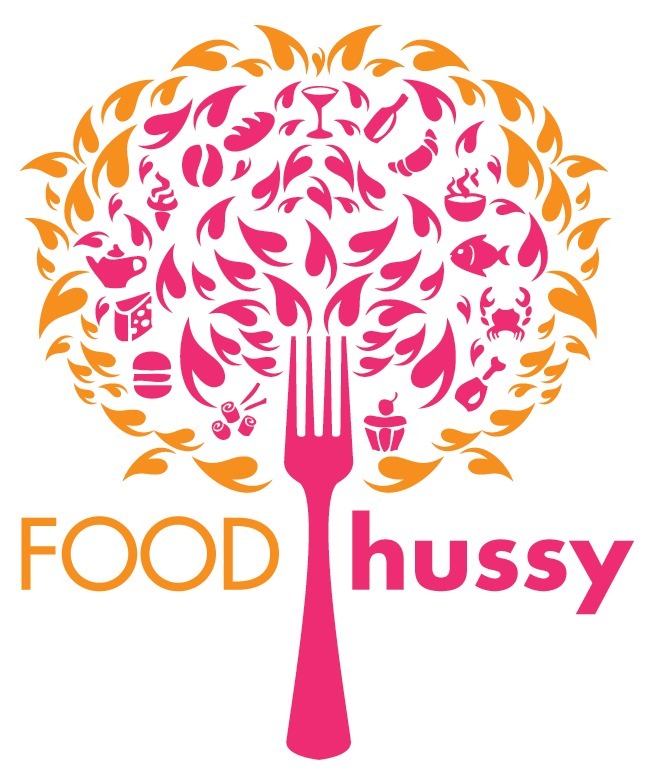 Recipe: Sur La Table Fried Chicken Cooking Class | The Food Hussy! Sur La Table provided this class in exchange for blog coverage. All opinions are my own. 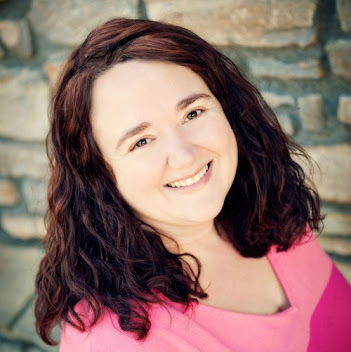 I like taking cooking classes and feel like I'm getting close to every one there is in town! (Tablespoon, Glendalia, Midwest Culinary, Bolly Bears) and now I can add Sur la Table to the list. 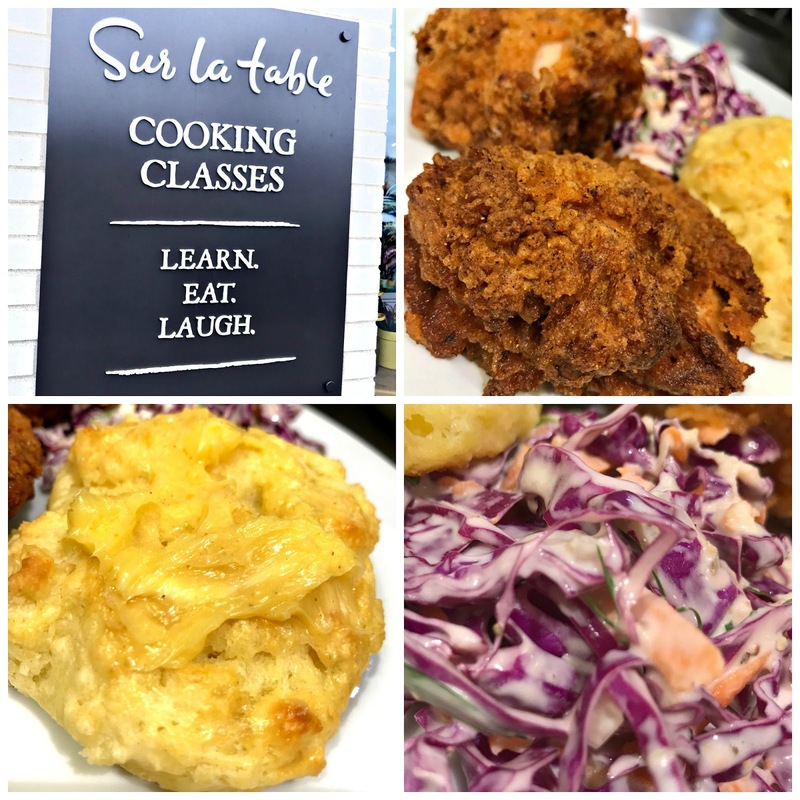 I signed up for the Fried Chicken class with my friend and was ready to go! 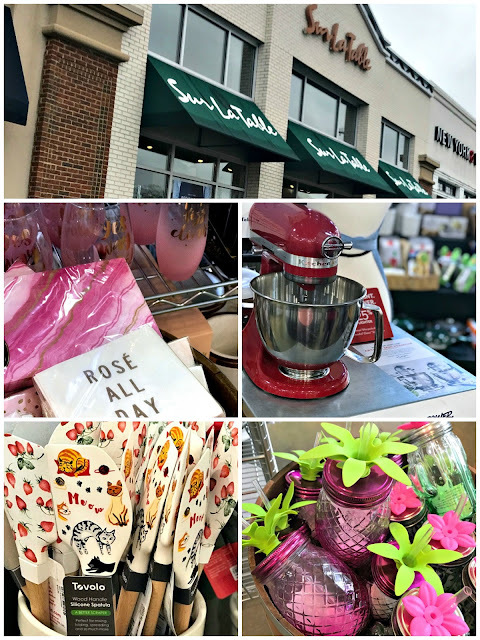 We got to the Rookwood location a little early so we took the time to explore the store a bit. I saw lots of stuff I NEEDED! I got that Meow spatula for my mom and that cute pineapple glass for me! It's a bit expensive - but it's very good quality. For our class there were stations set up for everyone - so we basically prepared two "batches" of the ingredients in our teams. We were making cole slaw, biscuits and fried chicken. There were 4-6 of us doing our tasks together on each team. We all shared the responsibilities and made sure that everybody on the team got to participate along the way. We did learn a few good tips - one of which was when you're working with COLD butter - you can grate it so that it gets incorporated into the mix quicker. We did for the biscuits that we made (which were really good). And we don't even think we got any finger in them! After preparing our meal, we took a little ten minute break while the chefs got the items ready to be served to us and cleaned up the areas a little. You get a 10% discount in the store the day of class - so you can buy a few of those items you spotted before class! I got this great kitchen tea towel in the clearance section for $2! You cook all this food for 2-3 hours before you get to eat - so don't go in starving - you'll pass out. They did provide a small snack of chips/dip for us and coffee/water. Drinks - if you want something other than water or coffee, bring it yourself. A lot of cooking classes are BYOB or provide alcoholic drinks - this was a non-alcohol spot but my friend and I were dying for a soda so we ran to Whole Foods quick during our after class break and got some overpriced, organic, foofoo "soda"
Sur La Table does not allow you to take home leftovers where as the other classes I've been to do. Why Should You Go? I think cooking classes are always fun and I love trying new techniques, etc. Personally I didn't love our chef - he was a bit cocky. The whole class was fine - but it wasn't one of my favorites. I think the fried chicken at Tablespoon was better for sure (this was good - but Jordan's was better.) That said - it really depends on your chef and the menu. If there's something you really want to learn how to make - any of the classes I've taken would be good. 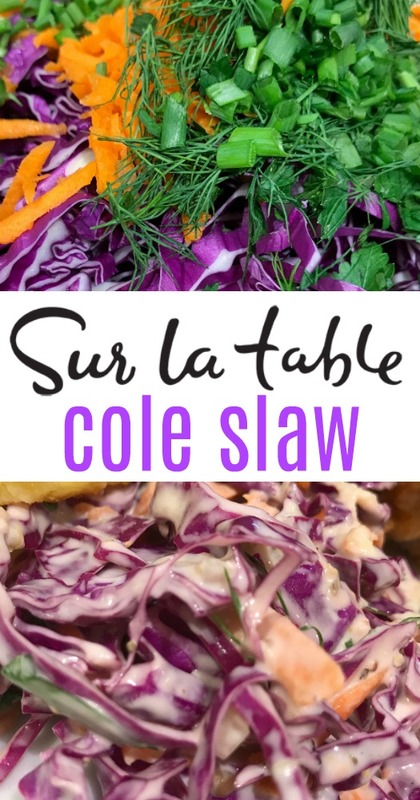 The word "coleslaw" comes from the Dutch word "koolsa", "kool" meaning cabbage and "sla" meaning salad. In a large bowl, combine cabbage and shredded carrot; set aside. In a small bowl, whisk the remaining ingredients together until well combined. Pour dressing over cabbage and carrots and toss to combine. Refrigerate until chilled, at least 30 minutes, or up to 3 days. Taste and adjust seasoning with salt and pepper before serving.